86-4460P Units: 10/pkg. 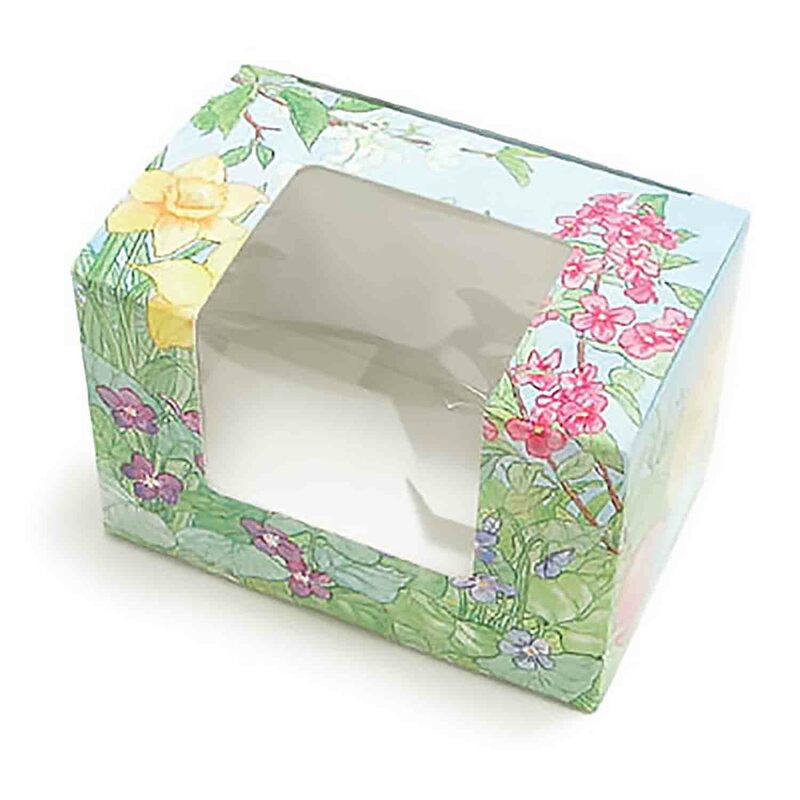 Dimensions: 2⅜" w x 3⅝" l x 2⅜" h This is a one piece folding candy box that will require minimal assembly. Use Easter grass to keep chocolate egg from rolling in box. This is a one piece folding candy box that will require minimal assembly. Use Easter grass to keep chocolate egg from rolling in box.